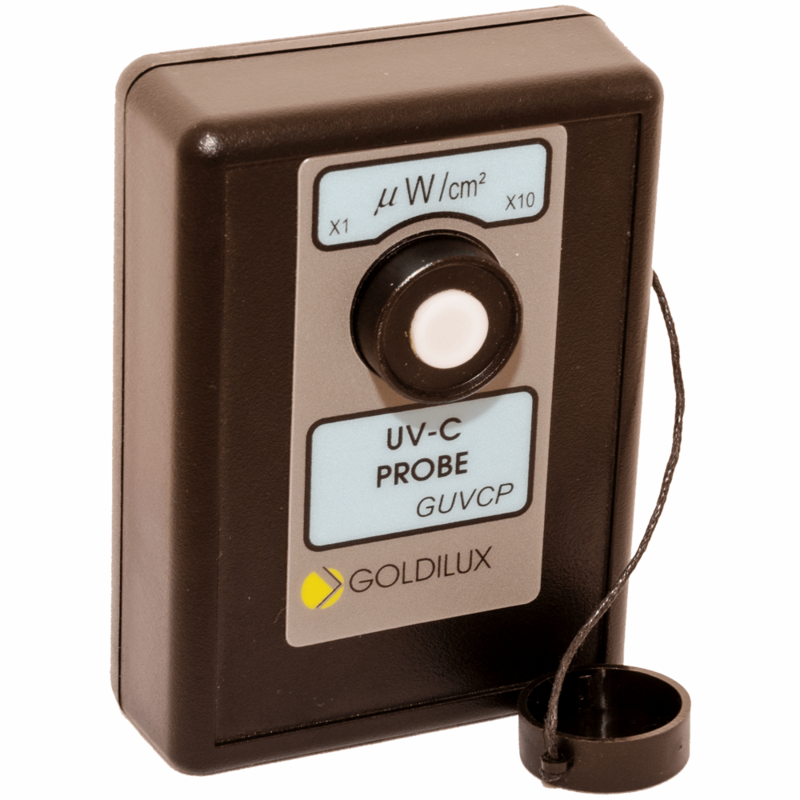 Goldilux Lightmeter's allow external probes to be attached, expanding their light measurement range. 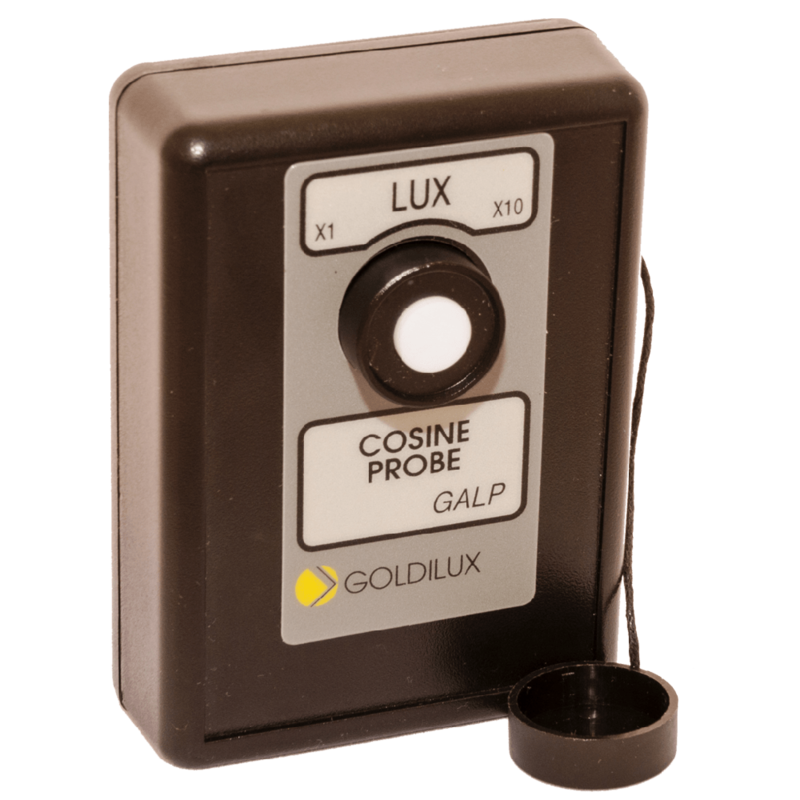 The GOLDILUX SERIES of PROFESSIONAL LIGHT METERS are designed to measure ILLUMINANCE of VISIBLE SPECTRAL RADIATION in LUX units. Developed at the CSIR – they offer value for money, reliability and perform better and have a higher recalibration accuracy than the BROADER INDUSTRY STANDARD, for example like some non-specialized and without-accredited- calibration instruments. 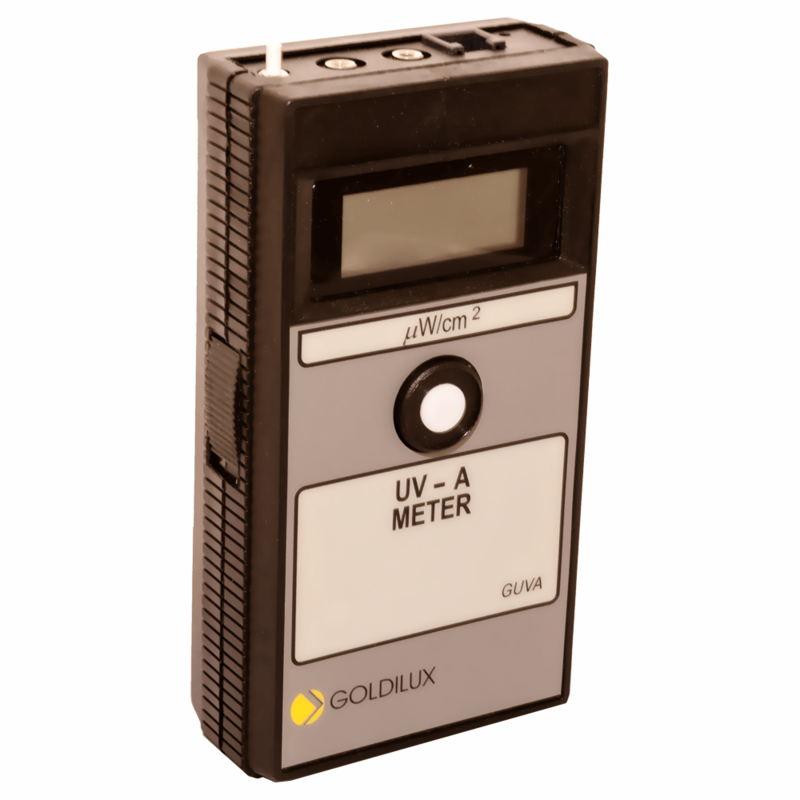 Generally, the Goldilux meters are a very sturdy and robust range of instruments. They are easy and straight-forward to operate featuring a reading HOLD switch on top. Goldilux remains very precise over time and has excellent re-calibration accuracy, within 3% or less. To get the best long-term performance out of your meter, use a 9V ALKALINE battery. When not in use, always put the protective cap on the detector and keep the instrument in a safe place. The ‘LOW BATTERY’ warning will come up on the screen when the battery needs replacing. If necessary, clean the detector with a soft cloth and alcohol. Dry and polish if desired, there should be no grime or smudges on the white diffuser (as this may affect readings). Corrosion of the doped glass of the detector may take place during high-intensity use in excessively salty climates. If you suspect this situation, have your meter recalibrated or ask the manufacturer for an inspection. users than in general, other very cheap instruments, in terms of quality output. 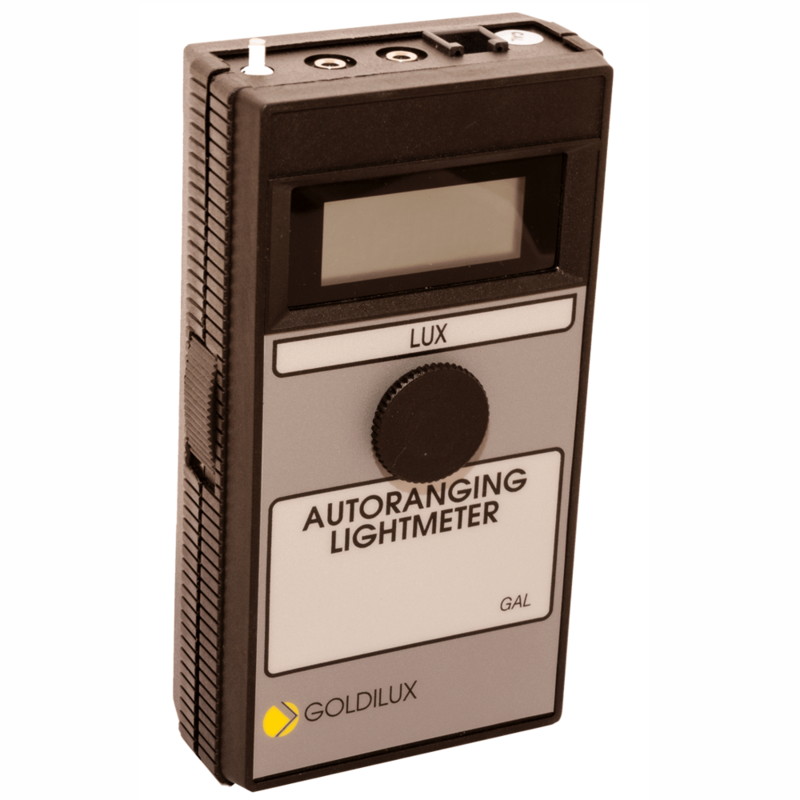 Very cheap instruments available commercially, often lack the well-designed precision given by a good value option, like Goldilux light meters. Goldilux light meters are similarly on par to the Hagner light meter range of Sweden. Goldilux offers value, i.e. not too expensive and NOT compromising on quality and accuracy. There are high end, ultra-sensitive light meters in the 3000 USD or R40 000 range, however, these instruments normally tend to be too expensive and delicate for use in mining or heavy duty environments by casual folk – and also unnecessarily precise for the majority of end users. Most end users just want, a reputable, reliable and accurate instrument that is up to the task at hand. ‘Cheap and nasty’ is NOT always the best solution, therefore the few extra Rands or currency spent on broader value, excellent design and quality, is money that goes the distance, to do any job, well. 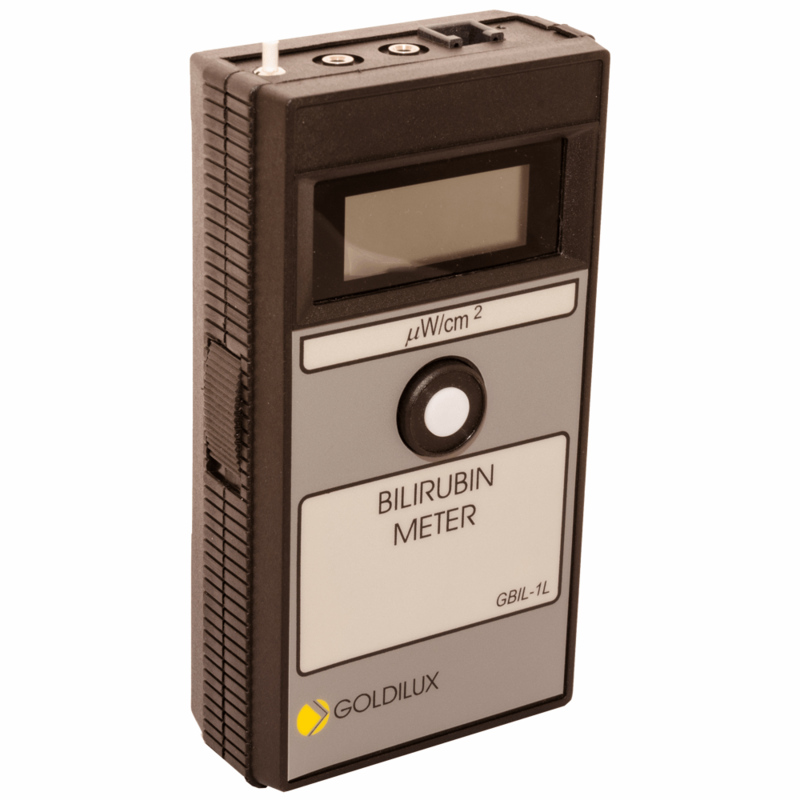 Generally, the Goldilux meters are a very sturdy and robust range of instruments (suitable for heavy duty mining environments). They are easy and straight-forward to operate. Goldilux remains very precise over time and has excellent re-calibration accuracy, within 3% or less. 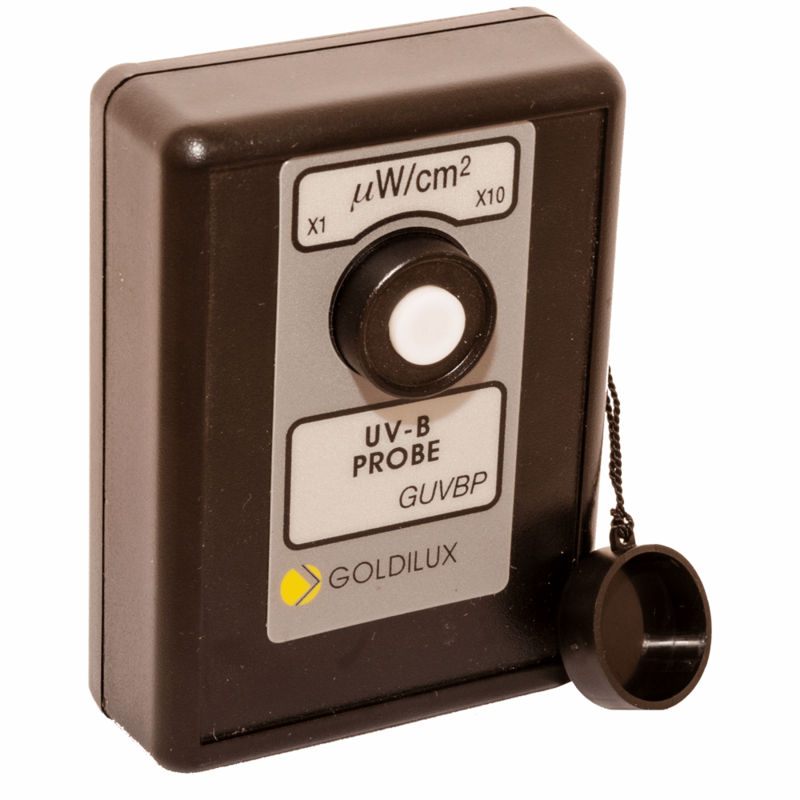 Goldilux, by expert and designer word-of- mouth should have pride in its own brand, as it is on par with some of the best light meter designs in the world – but at a fair price to the consumer. Our light meters have a good established reputation as a value brand, that offers quality, accuracy and reliability again and again, unlike some very cheap alternatives. This also applies to recalibration accuracy. Some other cheap meters could be out by whopping 30%, whereas Goldilux tends to have a high recalibration accuracy of 3% or less and a reading the generally remains precise over time. It includes especially, underground mining for health and occupational safety light measurement, occupational hygiene industries for measuring UVGI irradiation, health industries including hospitals and lighting design (luminaire) design. Sports (e.g. cricket umpiring) can also benefit from accurate light level measurement, to have fair play. Orchards and rare plant growers may improve yields by measuring specific wavelengths (e.g. UV-A) that may be responsible for better plant growth and therefore more efficient absorption of respective ground nutrients and hormone supplements. The trade name represents a standard of quality. Each instrument is sold with an accredited laboratory calibration certificate, this is standard and included in the purchase price. Each instrument is guaranteed for one (1) year for defects in workmanship. Instruments are sold to a formalized distributor network mainly, however, some exceptions are made to customers who are keen to order an instrument directly from us at retail prices. We always welcome new distributors. Once your required documentation is in place and you are registered as a distributor with us, you are able to purchase instruments from us at distributor prices, this is a special privilege. PROBE. The LCD (display) of the meters (GUVA-1L) is auto-ranging, self-adjusting, over onedecimal (dot placement). Light is measured in lux and UV light in microwatts per square cm. The UV meters and probes have been specifically designed and calibrated for use with narrow-band UV sources (most UV lamps). In such UV sources most of the UV radiation is emitted in a narrow wavelength region around a dominant spectral line. For, example, in case of Phillips UV-B lamps, there is a focus on narrow-band UV-B for the treatment of psoriasis and in new UVGI (germicidal UV) lamps for health and occupational hygiene, these also peak at 253.7nm of the UV-C spectrum, therefore these also refer to narrow band UV sources. Sometimes, a probe and a GAL-3L readout are casually referred to as ‘a meter’. The cable enables the user to shield himself from dangerous radiation behind a barrier like a wall, for example. If the UV-A and UV-B meters have to be used for the measurement of wide-band UV sources (which emit UV radiation over a wide range of wavelenghts, like for instance sunlight), this should only be done after having the meters re-calibrated for that specific type of wide- band source. UV-C meters should not be used for measurements on wide-band sources like sunlight at all, quite apart from the fact that there is no UV-C component in sunlight. Modern UV-C detectors are also designed to be “solar blind” as a way to discriminate broad spectrum radiation from pure UV-C light sources. The different UV regions are internationally defined as follows: UV-A: 315 – 400 nm, UV-B: 280 – 315 nm, UV-C: 100 – 280 nm. 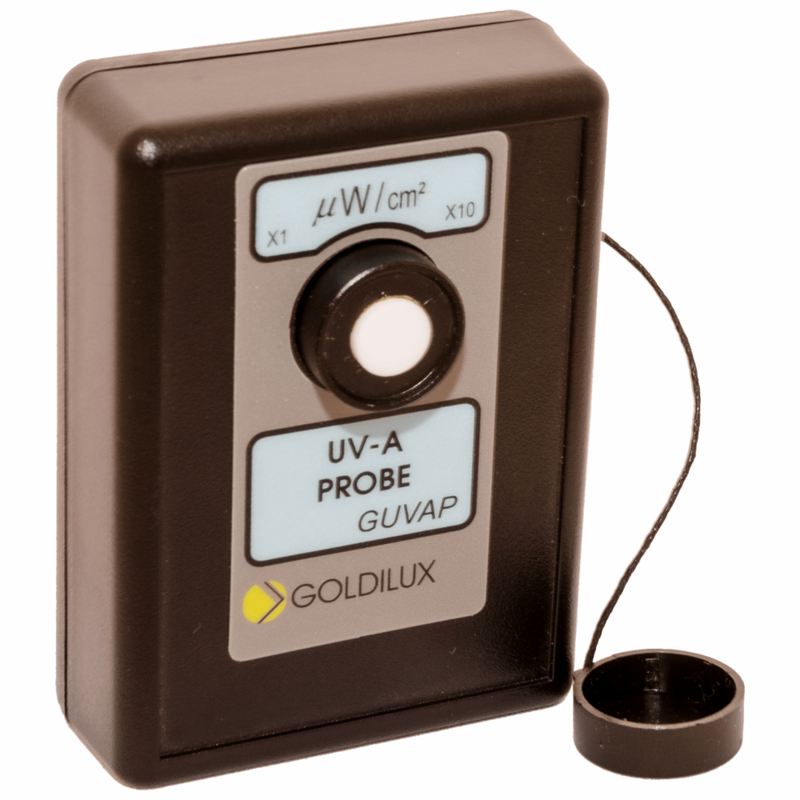 The Goldilux instruments feature a hold button, which allows the user to obtain a specific reading at an exact physical point of measurement. The Goldilux brand of instruments has an established network of distributors throughout South Africa for numerous decades. Feel free to order your instrument today from a distributor near you, that caters for your industry or we at MIT can also assist your enquiry. Calibrations normally come in two basic formats, an initial calibration and a full calibration. An initial calibration (with calibration certificate) is provided upon purchase of your Goldilux instrument. After the instrument has been in service by the end user (until the next calibration is due), it is normally required to undergo a full calibration or 5 point calibration, to ensure the instrument is still working correctly – or in other words putting it through it’s paces. Calibrations normally satisfy a legal obligation, where CORRECT measurements are essential and backed up with an accredited laboratory calibration. When instruments are privately and casually used, when legal requirements are less of a concern, then the sensor remains stable for a very long time, this is especially true at inland areas. Coastal areas, with excessive, daily fog, condensation and very salty climates, require the instrument to be calibrated, definitely, within the requirements of the calibration sticker. Often what happens, is that salt crystals may form on the detector of ANY instrument, therefore affecting correct readings (and distorting light input). On the other hand, acid fumes may also affect the detector coatings of any instrument, therefore, if you operate in such environments and contexts, calibrations become much more important. It is always, a good idea to check that your meter or instrument is zeroing correctly. If your meter is not responding correctly for a zero reading, a meter normally has an accessible potentiometer (trimpot) under the battery flap, that can be used to make slight voltage adjustments internally, that can reset your instrument to a correct zero reading. At the back of any probe there is usually a microswitch to be flipped in the upward or downward position, to give a X1 and a X10 reading as you wish to go over a range of readings. Full resolution is normally better obtained at a lower reading (the X1 setting). It is always good practise to keep the probe setting in the lower range setting. In general, meters or probes should be exposed to a known and accurate light or irradiation source and trimmed (with potentiometer, trimpot) to the correct reading. Readings may be taken over a range of distances to ensure continuous accuracy. *NOTE: Calibrations should only be performed by trained metrologists, in an accredited calibration laboratory. Also, safety clothing, gloves and sunglasses should be worn when dealing with prolonged exposure to relatively dangerous UV sources. Relatively long exposures (even a few minutes) of UV-C can cause “arc eye’, concussion symptoms and even loss of consciousness. Meters and Probes: Readout: 4½ digit LCD display with autoranging over one decade. Power source: 9V type PP3 battery. Battery life approximately 200 hours for alkaline battery (without using an external probe). Detector: Solid state sensor, UV-enhanced silicon photodiode with filtering for Blue Light, UV-A, UV-B or UV-C.
Spectral response: As indicated in Fig. 4 (nominal values). Accuracy: Light meter uncertainty – usually within 1%, UV meters Factory setting 5% (UV-A), 10% (UV-B), 15% UV-C. These figures are applicable for line sources centred at 365 nm (UV-A), 313 nm (UV-B) and 254 nm (UV-C). Otherwise, as stated on the calibration certificate by a recognized calibration laboratory. Angular response: Good directional response of light meters compared with ideal cosine response. Also with the UV meters very good match with the ideal cosine response. Probes: 120 g (with cable). Accessories: Protective cap for detector, manual. Re-calibration: Return unit to a recognized calibration laboratory for re-calibration every 6-12 months (depending on total dose exposed to) or if calibration is in doubt for any reason. We have a minimum guarantee that a meter/instrument will be in working condition for at least one (1) year. This is just our guarantee and our meters keep on working fault free for many decades. If an approved distributor receives notice of such defects during the warranty period, he will either, at his option, repair or replace products which prove to be defective and receive a replacement from the manufacturer. The above warranty shall not apply to defects resulting from improper or inadequate maintenance by the customer, customer-supplied software or interfacing, unauthorized modifications or misuse, operation outside the environmental specifications for the product, improper site operation and maintenance, an accident or abuse.